Bats have had a poor reputation for a long time. Old tales, books, movies, television, and publicity have induced individuals to develop misconstrued notions about bats. The reality is, bats are incredibly important to our surrounding eco-system. Would you like mosquitos? Bats do! And they eat all of them so that mosquitos aren’t eating you at your backyard cookout celebration. 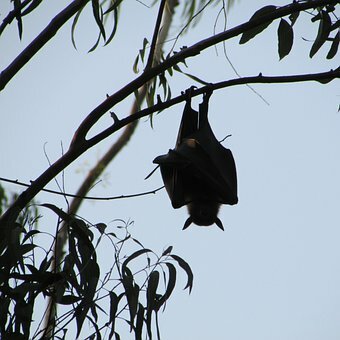 Apart from pest control, bats play a major role in our environment. It is important to always respect bats, and understand that they are innocent mammals that only want to survive. For this reason, it is important that you don’t ever harm, trap, or kill wild bats. In actuality, it is illegal in most states without the proper licenses and permits. If you are fearful of bats, or have a misguided perception of them, continue reading to find out some common myths and perhaps change your mind about bats once and for all! All bat species but you’re insectivores or fruit eaters. There is only one bat species which consume the blood of different creatures, and to no surprise, this bat species is called the Vampire Bat, or Desmodus rotundus. But don’t be mistaken; Vampire bats don’t kill their host, they just consume enough blood to get a meal. It does not hurt or damage the host at all (although sometimes their bites can get infected and cause problems with the host), which normally consist of livestock animals like cows, horses, and goats. They are not likely to attack humans and animals, despite what some movies have shown you. Provocation will especially trigger mother bats to defend their young. This is why pets are common victims of these attacks. They are curious and just want to have a whiff of a mother bat, but she is in no mood. That is one reason why pet vaccinations are so important. If you find one, don’t touch it or try to move it using something. They aren’t blind at all. In actuality, Megachiroptera (tropical fruit bats) have fairly good eye sight because they have a pronounced visual cortex. Although Microchiroptera have smaller eyes, they could still see just fine. They don’t use echolocation solely to navigate. They mainly use it to hunt for insects.